Are you using the RIGHT matcha in the RIGHT ways? Matcha green tea is famous for its high antioxidant content, which plays a major role in your health and beauty. 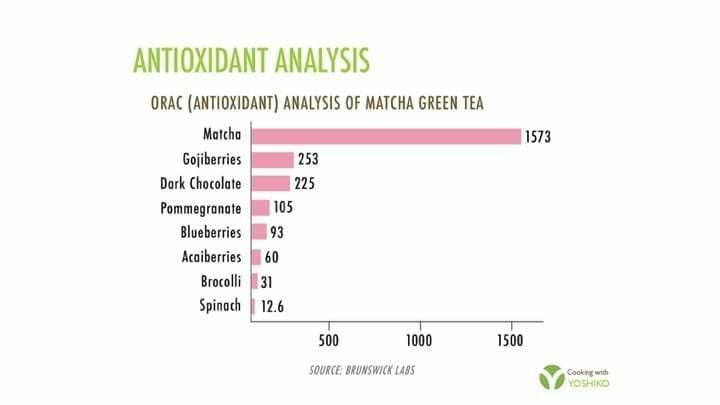 However, to maximise the antioxidant power of matcha green tea, you must use the right matcha as the antioxidant level between different types of matcha available to buy varies. This means you must buy high quality organic matcha that is NOT a dull green or yellow-green colour. Walnuts, flaxseeds, sesame seeds, chia seeds and soy beans are great sources of omega 3 and go really well with matcha green tea! So make sure to have soy milk that is made from whole soybeans. Please check the label of your soy milk, and if the box says made from “soy beans”, that means it is made from de-fattened soy bean pulp and added oil. Another thing to check is if the soy milk contains oil or not. Even if whole soy beans are used, oil is sometime added because very small amounts of soybeans are used, meaning it may not be creamy enough. 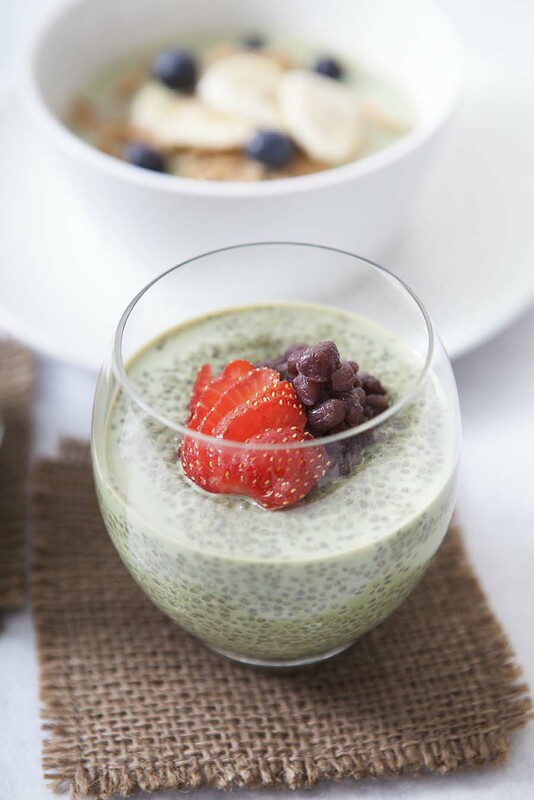 A very easy omega 3 rich dessert: Matcha, whole soybean soy milk and chia seed pudding! What is the RIGHT Matcha? 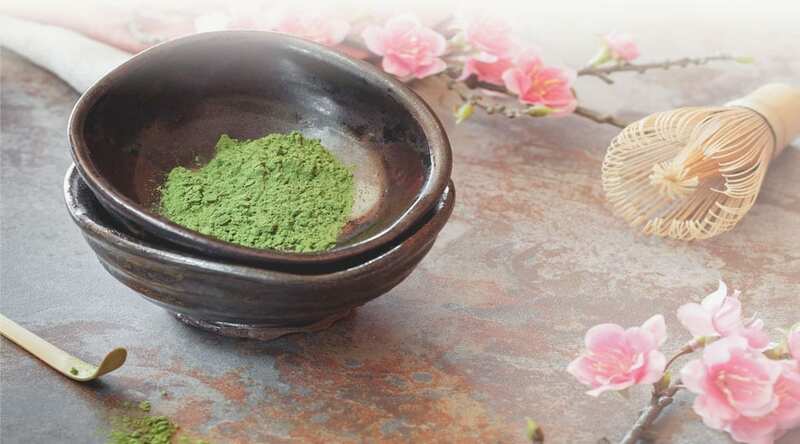 The right matcha green tea to buy is high quality, ceremonial grade matcha because the antioxidant levels are much higher. 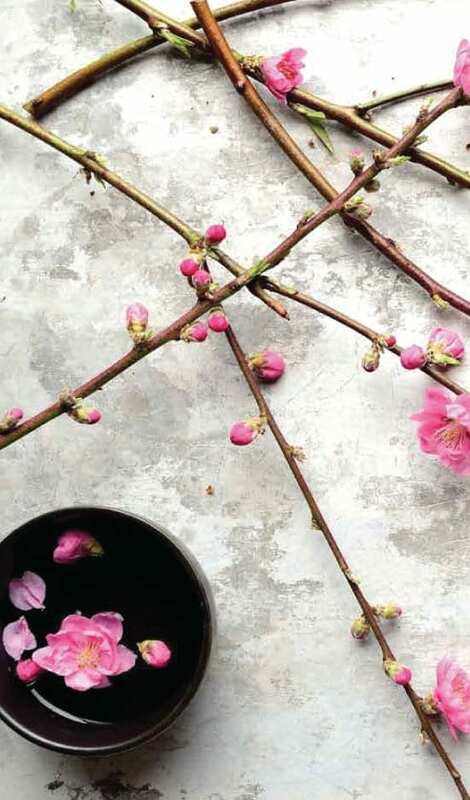 The right matcha to buy should also be stored in a dark, airtight package where no light can reach the matcha powder as this will oxidise the matcha and ruin its quality. Using organic matcha is also very important because green tea leaves are often sprayed with pesticides. 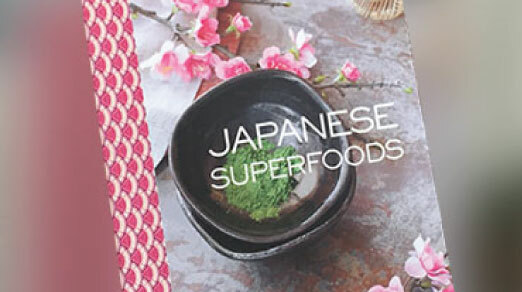 If you would like to find out more information about buying the RIGHT matcha, click HERE! If you would like to try some of the RIGHT matcha, check out my ORGANIC MATCHA GREEN TEA HERE or click below! My matcha green tea is properly handled by skilled Japanese craftsmen using ‘first flush’ picked tea leaves, traditionally known as ‘real’ matcha. Because this matcha is such high quality, you can count on its antioxidant content that will assist with your detox, weight loss, the lowering of cholesterol and clearing of skin to name a few! If this sounds like something that you would like to do in 2019 click HERE!